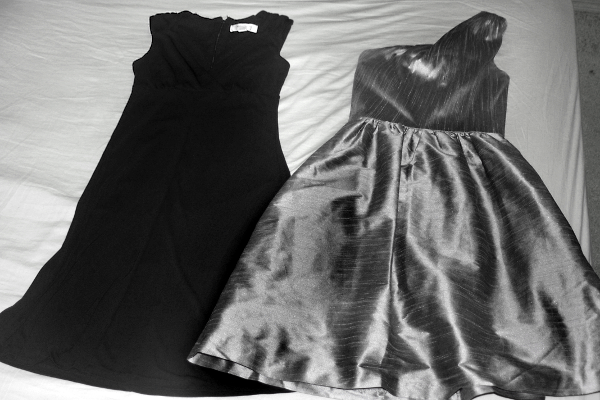 I started with these two dresses (Cara liked the skirt of the black dress & the top of the silver dress). 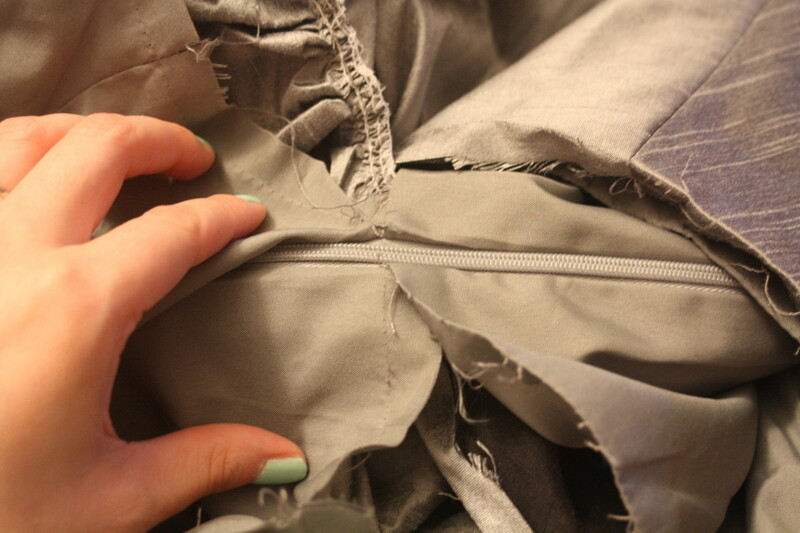 Here you can see both seams ripped all the way to the zipper. 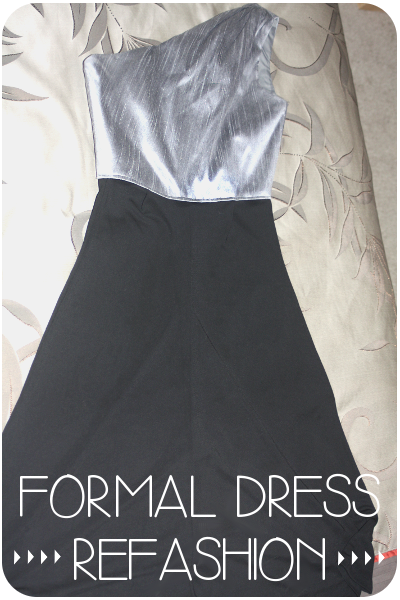 Now that the top was separated, I moved on to the black dress. I did the same thing to it, except it didn’t have a lining so I didn’t have to worry about that. Since I was going to use the zipper from the top of the silver dress, I went ahead and ripped the zipper out of the skirt of the black dress. 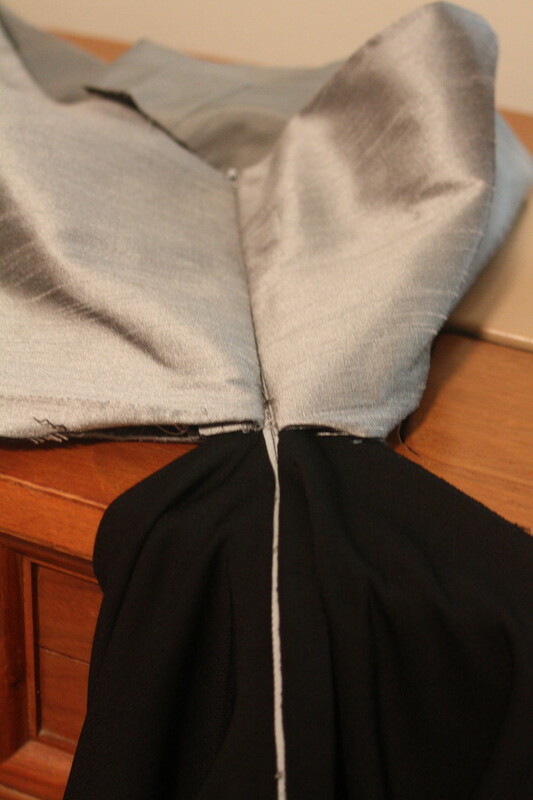 Then I sewed the zipper of the silver top onto the black skirt. 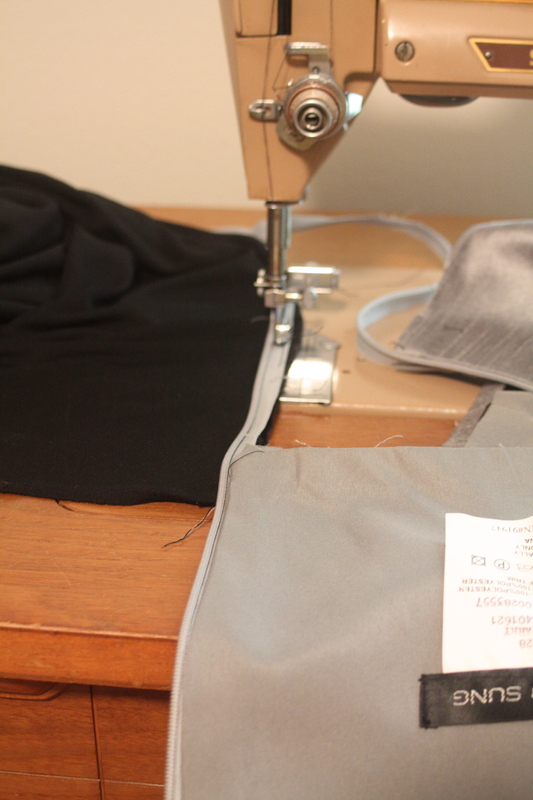 Below you can see me sewing the right side of the black skirt to the wrong side of the silver top. 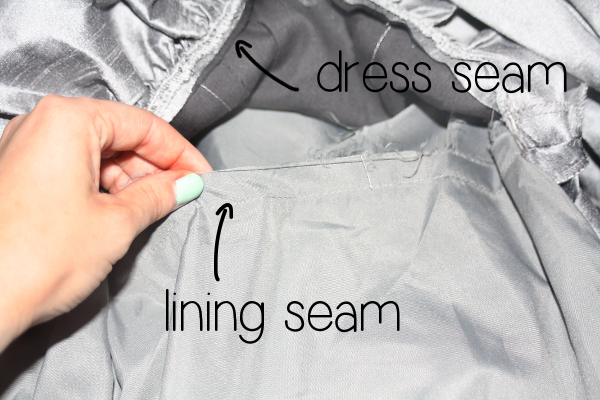 Doing it this way will allow me to fold back the black fabric so you won’t be able to see the seam on the outside of the dress. 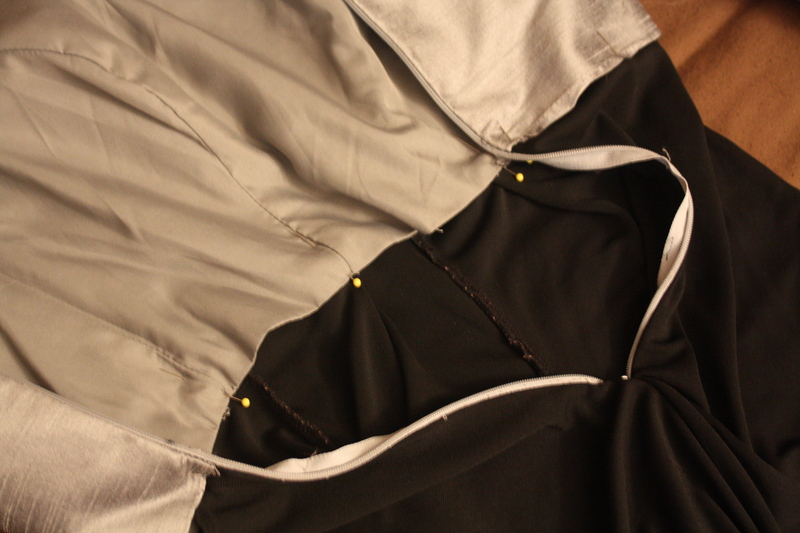 Once I got the zipper installed, I needed to attach the waist of the skirt to the waist of the top. 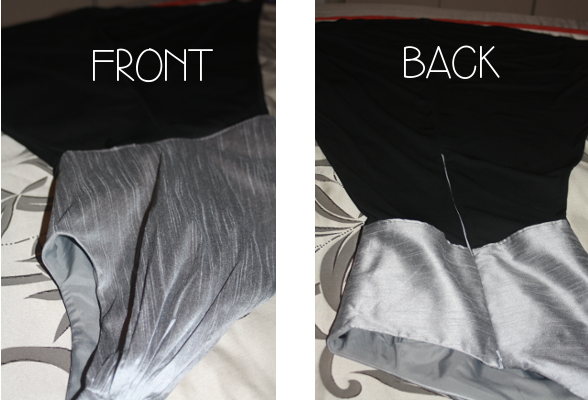 I pinned the skirt in place, sandwiching it between the fabric and lining of the top. I also added in two pleats in the front of the skirt because the waist of the skirt was a little wider than the waist of the top. 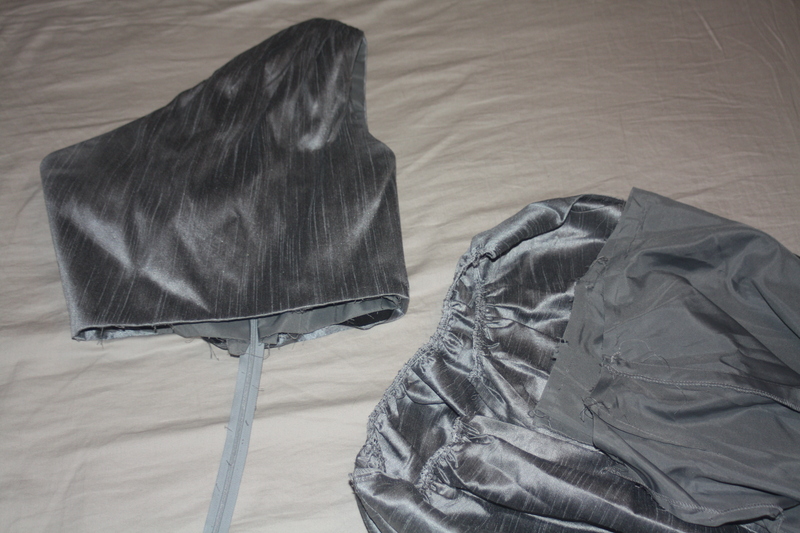 Other than figuring out how to sew the zipper onto the new skirt (I did it wrong a few different ways before getting it right), it was really a simple refashion. Maybe this post will inspire some craftiness in you – tell us about some of your latest projects in the comments! Explorer & adventurer – mostly through scratches of ink on a page – I enjoy my husband, our twin boys, our boisterous German shepherd, and strive to live for the glory of God.